Universal printer check. Check for specific consumables or report on all. Query model/serial #, event messages, tray status and much more! Originally based on Monitoring Solutions' check_snmp_printer, this provides friendly output, quick execution and thorough pre-flight checking. *** LATEST CHANGES: SNMP v3 checking supported, with improvements to code and error handling. Also simplified output some and added ability to pass long style options (--). ---> IMPORTANT NOTE: Because snmp v3 checking uses -x for selecting a privacy protocol, -x is no longer the option for passing a check type. Instead, I've changed it to the more sensible -t option. This means your service command definitions need to be updated before you can use this plugin!!! I liked the original plugin but wanted to be able to report the status of all consumables. For some devices this output can get huge. When only 1 component is empty, it becomes a challenge to find what needs to be replaced in the output. So this script was born. I added checks for user input and better feedback for improper parameters. The same goes for SNMP status - before any code is executed, this is tested. The CONSUM option gives results for all consumable names that match the string passed. For instance, you can pass "CONSUM Toner" and see all toner levels (no staple cartridges or imaging units). Similarly, "CONSUM Black" will show you the Black imaging unit and Black toner levels all at once. The ALL option gives all consumable status at once, and TEST will show you which CONSUMABLES can be monitored. CONSUMX reports on consumables that match the eXact string passed to it. This helps alleviate problems when a "unique" string is not possible. For example, "CONSUMX Black Toner" would give an error unless the FULL description of the consumable (from a CONSUM TEST) is "Black Toner". Any consumable named "Black Toner1" or "Black Toner Cartridge" would be overlooked. DEVICE, DISPLAY, MESSAGES, MODEL and STATUS report information about the printer's hardware devices, physical display, event log messages, model/serial or overall status (respectively). Then you need to edit your service notifications. Just after the $SERVICEOUTPUT$ macro, you will need to add "n$LONGSERVICEOUTPUT$". E-mails will finally contain lines 2 and up of the output. Salut to everyone and thanks for this plugin, espetially Mr Leonard as a creator. I write because I have some struggling with snmp v. 3 from past day. snmp v. 1/2 is working great, but I need to use v.3 with hp M527 enterprise printer. 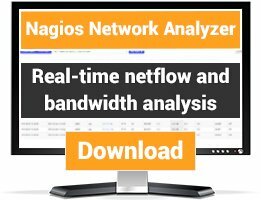 I know this is not support section, but I need just something to go on if it`s ok.
As I said, snmp 2 is ok and its working with Nagios Core 4 - CentOS 7. I only get "Plugin check_snmp_printer failure - snmpwalk command error. This must be working in order to go on and implement it on Nagios monitoring. Worked fine on Nagios Core 4 Not so much on Icinga. I had to add the parameter for CONTEXT (-n) in order to use SNMP v3 with Konica-Minolta bizhub C284 printers. Does the plugin work for HP Color Laserjet CP2025dn? Plugin check_snmp_printer failure - snmpwalk command error. Looks like an awesome plugin and would save a lot of time, but I can't figure out how to set up checks that require more than one word. Specifically, checking CONSUM ALL and TRAY ALL from the command line works excellently. 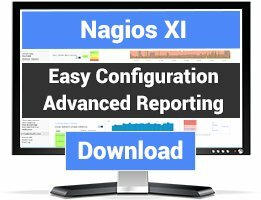 I can't get them configured correctly in the Nagios config files. They invariably return errors such as "UNKNOWN: No valid check type specified to -t parameter". I don't know how to add anything with a space (single and double quotes return errors). But, the single word checks work fine! 1) If an HP printer is asleep, it should recognize that not go critical. 3) If the printer does go into an error state, parse the return code and tell me what the actual problem is. Some issues in our environment should be fixed by our techs while others are handled by administrative staff so that is important to know. I haven't programmed in BASH since the mid-90's and even then only sparingly so I apologize to the actual pro's out there if this isn't the cleanest but it works so, um, yay! IFS=' ' read -ra ErrVals us is $PRINTER_STATUS. Printer is reporting: $PRINTER_ERROR_RESULT"
EXIT_STRING="OK: Printer status is $DISPLAY." EXIT_STRING="OK: Printer status is $PRINTER_STATUS"
EXIT_STRING="WARNING: Printer status is $PRINTER_STATUS"
error: Invalid check specified by -x parameter. /etc/nagios-plugins/printer_status -H 192.168.0.197 -x "MODEL"
I believe the wrong is check_command string. But it's the same as aytor's and autor can't lie to us. I don't have any luck in this. 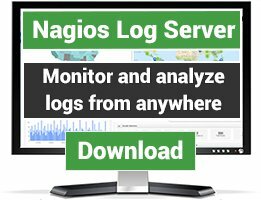 I always have this error when trying to restart the nagios service. It even works in the /usr/lib/nagios/plugins if i run the command manually, however i can't run it normally in /etc/nagios3/conf.d. Appreciate anyone advice on this? I only had some problems with the STATUS and PAGECOUNT. The STATUS Problem I solved with the help of a previous review, that you had to change "idle(3)"); to "idle"). After I made that change it worked fine. The PAGECOUNT problem wasn't really a problem but more like it was missing something. The PAGECOUNT showed me the total number of pages printed color and black together. So I had to make some changes to the script. The long number (1.3.6.1.2.1.43.10.2.1.4.1.1 2) is a OID, an OID is object identifier and this one is used to get the PAGECOUNT Total. But like I said I wanted to see the PAGECOUNT for color and Black separately, so I did some research of what the OID's are for this and I found them on an forum. I think they are officially for a Xerox Printer, but I think they will also work for other printers you just have to test. I didn't have any other printers available then Xerox. As you can see the commands stay the same only OID changes and the name of the function. I kept the original PAGECOUNT for the total number. After you have done this you will need to changes the main code, you will have to add the commands to name you can use. As you can see I have added PAGECOUNTCOLOR, PAGECOUNTBLACK and PAGECOUNTTOTAL, so when you have made these changes you can also put the help function. That's all the changes I made, I just find it handy to know all the number instead of just the total one. And I wanted to post it here so maybe more people can use it so they don't have to search for it on google. Maybe it's a thing for in the next version. UNKNOWN - OID not found! Your printer may not support checking this consumable. Use the CONSUM TEST option to determine which consumables may be monitored. No SNMP response from 192.168.x.x! Make sure host is up and SNMP is configured properly. We have lots of printers, and end users often like to switch them off. With the above change, it makes it much easier to see actual warnings for low toners, etc. rather than them being lost amongst lots of 'No SNMP response' type messages. In a school with lots of different types and ages of colour printers, this plugin is incredibly useful due to its versatility and ease of use. It saves a lot of leg work!! WARNING: No SNMP response from 10.7.161.208! Make sure host is up and SNMP is configured properly. from a Canon iR-ADV C5030. I have configured SNMP and the host is UP. Great script, all is working well, except for STATUS. # ./check_snmp_printer -H x.x.x.x -C xxxx -x "STATUS"
but jumped stright to *) (line 277). and it still works like a charm (at least on our 3 DELL printers, tests on the big Xerox machine are up later). As a previous reviewer mentioned, the STATUS command is coming up as WARNING:Printer is Idle. Any thoughts or solutions on this? The script does very fine, I am very happy to use it. But there is still a little problem with Utax CD1120 printers (We got two in our enviroment). The "Toner Container" is always 600 %. No percentage more or less. But maybe this is not a script related problem because i did not found any toner capacity information on the web-gui too.